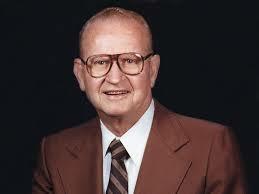 Roy Weatherby was born in Kansas on September 4, 1910 and died on April 4, 1988. 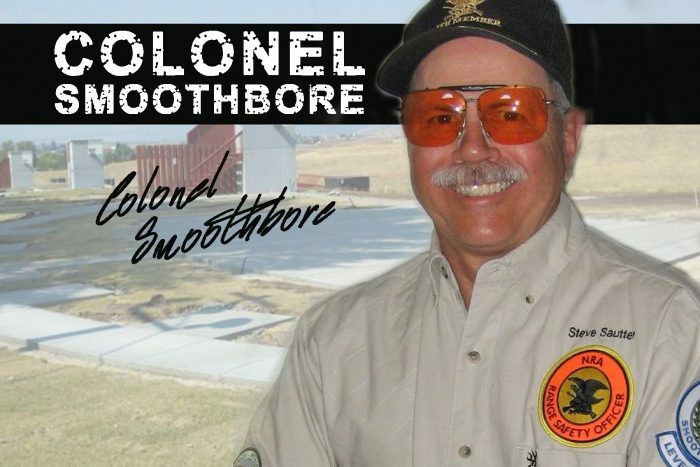 He started his firearms company in 1945. 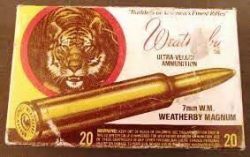 Weatherby was known as a “wildcatter;” in other words, a fellow who through trial and error designed and built his own firearms cartridges. Weatherby turned his wildcatting efforts into numerous proprietary cartridges bearing his name on both the chamberings and the rifles that fire them. 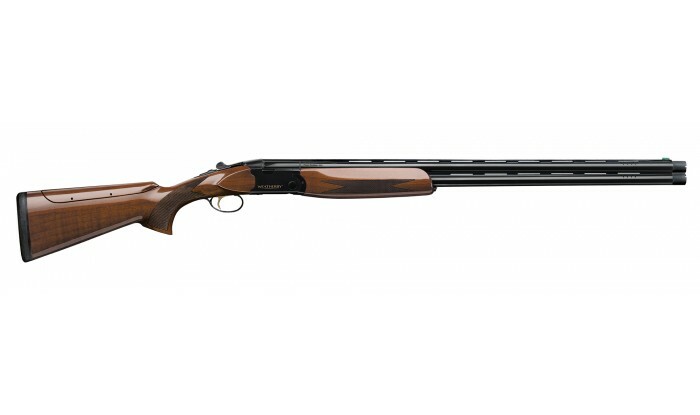 Weatherby was a fan of high velocity and the bore diameter and bullet weight didn’t affect his love of high speed projectiles. The faster a bullet gets to the target the less likely it will be affected by external influences such as wind and that old constant, gravity. It will also impact with greater energy. But with all assets come some liabilities; in the case of Weatherby cartridges more noise and greater felt recoil. Just shoot a .30-06 loaded with a 180 grain bullet, then fire a 300 Weatherby® Magnum with the same 180 grain bullet and you will quickly understand what I mean. Weatherby originally used FN Mauser 98 rifles for the first guns marketed by his company. He would also chamber his cartridges in most any action a customer wanted. 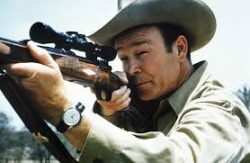 In 1956, he had the Danish firm of Schultz & Larsen produce .378 Weatherby® Magnum rifles. Many of the design features of this gun found their way into the very strong Weatherby® Mark V rifle introduced in 1958. The Mark V is probably the strongest commercially produced bolt action rifle of all time. It needed to be strong as the Weatherby® cartridges produce the extremely high pressures that are necessary to generate the bullet velocities Weatherby® is famous for. For example, using data from Hornady® ammunition specs for a 180 grain Interlok Spire Point bullet we can compare the venerable .30-06 Springfield with the 300 Weatherby® Magnum. Muzzle velocities are 2700 fps for the ’06 and 3120 for the 300, a 15.5 % increase. 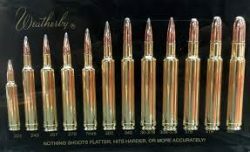 The real difference comes in energy down range; at 100 yards the ’06 delivers 2480 ft/lbs and 1765 ft/lbs at 300 yards. The 300 Weatherby delivers a whopping 3340 ft/lbs at 100 yards and 2429 ft/lbs at 300 yards. This is an increase of 35% and 38% at the respective distances. My own experience shows that the increase in perceived recoil is similar to the energy increases between the two calibers. Today Weatherby® is headed by Roy’s son Ed. Over the years the company used manufacturers from all over the globe to produce their rifles. Recently the company moved to Sheridan Wyoming and a brand new facility headquarters will be opening very soon in 2019. 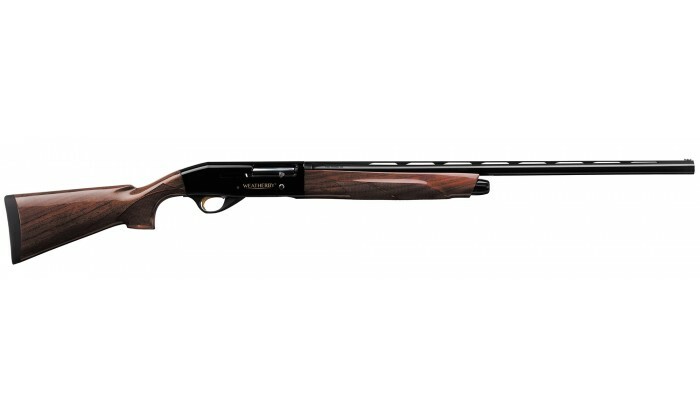 If you are interested in the Mark V and other Weatherby® products, I suggest a trip to: http://www.weatherby.com.